Pasta has always been a favorite family dinner of mine. 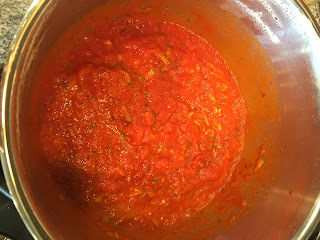 I have great memories of my mom preparing homemade pasta sauce. What I did not know for a long time as a kid was that my mom snuck in tons of vegetables into her sauce. She added onions, carrots, celery and more. 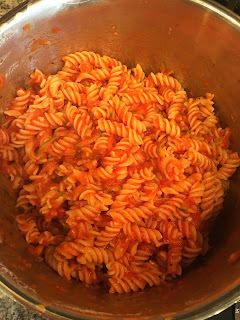 Now that I have kids of my own I make my very own version of "homemade" pasta sauce, but I add in zucchini. The kids have no idea that I have added an extra vegetable to dinner, it's not sitting in a pile on their plate so out of sight out of mind. 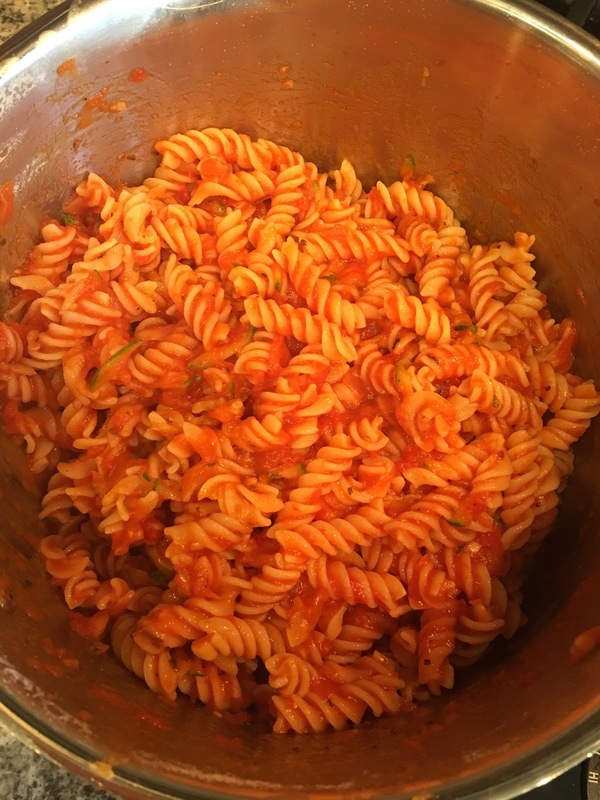 Here is how I easily add zucchini into our pasta. I must add that we also use Barilla Gluten Free Pasta due to my sons food allergies. Step 1: Clean your zucchini and chop on end off. 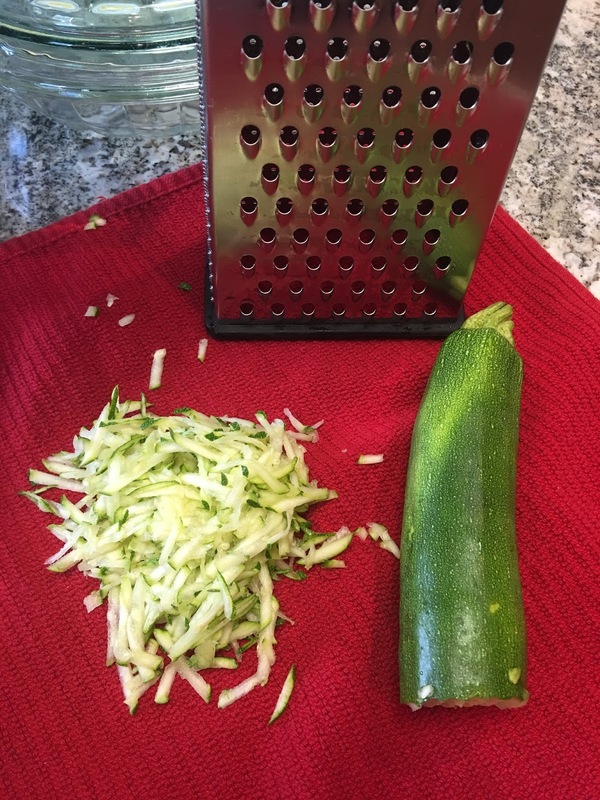 Use a grater and grate your zucchini over a kitchen towel. Once the zucchini is completely grated, squeeze out the excess water over your sink. Step 2: Put grated zucchini in a pot and add your sauce. Cook on medium low for about 10 minutes. My kids really enjoy this dinner and have never noticed the added zucchini. If for some reason you have a child that does notice the zucchini, switch to the smaller holes on your grater and see if you can sneak it in that way. Good luck and happy veggie eating!